A First World War Roadshow event will be held at Banbury Museum on Saturday November 3rd 2012. Members of the public are invited to bring their documents, artefacts and stories from the First World War to be added to the Europeana 1914-1918 online archive. Visitors at Roadshow in Dublin ready to share their story. Project staff from the University of Oxford and Soldiers of Oxfordshire Museum will be on hand to digitise and talk about the objects and add these and the stories to the website. Subject experts and representatives from historical associations and societies will be present to help people learn more about their objects and family history. The stories and digital versions of the objects will be available for people across the world to enjoy via the Europeana 1914-1918 website, while the items themselves remain with their owners. The First World War stretched across countries and over continents. It involved not only those at the front but also people at home and elsewhere. Only a fraction of the stories, objects and memories that remain after the war are widely available or even known. There are stories that have never been told beyond the family, and objects that are kept in people’s homes: letters, photos, diaries, souvenirs, and other items that tell a story about the war and those who were affected. The Europeana 1914-1918 project is now working to collect these unknown memories and objects and make them available online for the world to see and share. The Europeana 1914-1918 project invites anyone who has a story or object relating to the time of the First World War to share it. At the Europeana 1914-1918 website (http://europeana1914-1918.eu/), people can record their stories and upload digital versions of any objects they hold. 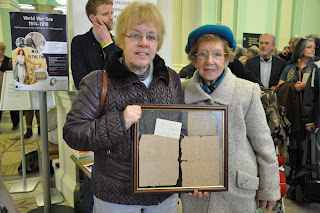 A series of Roadshow events are held across Europe to assist people with the digitisation and sharing of their stories. Europeana 1914-1918 is based on an initiative at the University of Oxford where people across Britain were asked to share their family letters, photographs and keepsakes from the war. The success of the idea – which became the Great War Archive – encouraged Europeana, Europe’s digital archive, library and museum, to bring other national or local institutions across Europe into an alliance with Oxford University. The Europeana 1914-1918 online collection is constantly growing. Every item in the collection originates from, or relates to, someone’s experience of the First World War, either abroad or at home. The material can be explored at http://europeana1914-1918.eu/. 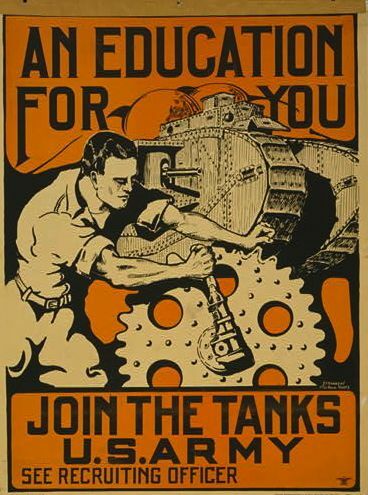 Do you teach the First World War in any discipline at at Further or Higher education level? On Thursday 6th September we will be running a workshop to introduce a new digital project with resources for teaching: World War I Centenary: Continuations and Beginnings. World War I Centenary: Continuations and Beginnings brings together a range of innovative digital resources intended to reappraise the War in its historical, cultural, social and geographical contexts. The resources include digitised primary sources, e-books, images, interactive maps and simulations, and are organised into cross-disciplinary themes such as medicine, politics, and the topography of the War. At the heart of the site is a showcase of new academic perspectives on the War by leading scholars, presented in blog format so that readers can contribute comments of their own. The website has been developed by the team at the University of Oxford responsible for the acclaimed First World War Poetry Digital Archive and Great War Archive (http://www.oucs.ox.ac.uk/ww1lit/) and funded by the Joint Information Systems Committee (JISC) World War One Commemoration Programmes (http://jiscww1.jiscinvolve.org/wp/). The workshop will explore the usefulness and relevance of the thematic collections for teaching and studying topics related to World War I . It will begin with an introduction to the thematic collections and academic commentaries. You will then investigate the collections yourself, select resources that might enhance your students’ learning and plan how you might use them. Members of the project team will be on hand to help out, and there will be ample opportunity for feedback and discussion. The workshop will take place at the University of Oxford IT Services, from 10.00am to 4pm on the 6th September 2012. Coffee and lunch will be provided, and reasonable travel expenses will be reimbursed for participants from outside Oxford. Places are limited. Please contact ww1centenary@oucs.ox.ac.uk if you are interested in attending.